An ever-growing number of users share their thoughts and experiences using Twitter, and even though Twitter posts contain a small amount of content to convey significant information these messages can be combined to build a larger picture of the user posting them. FAU graduate student Randall Wald and postdoctoral fellow Amri Napolitano under the guidance of Taghi Khoshgoftaar, professor in FAU’s department ofcomputer and electrical engineering and computer science are collaborating with Chris Sumner, Co-Founder of the Online Privacy Foundation to explore techniques to apply data mining to identify people’s personality traits via their Twitter postings. The Online Privacy Foundation conducted the Twitter Big 5 Experiment which consisted of having users fill out a set of personality surveys, as well as supplying their account profile information and the content of their posts. 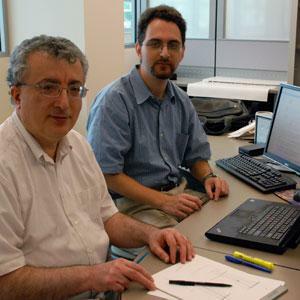 The FAU researchers took the collected data and applied a newly-proposed data mining algorithm to categorize the information according to both the Big 5 Personality Index (which includes the traits of agreeableness, conscientiousness, extroversion, neuroticism and openness) and the “Dark Triad” – a collection of negative personality traits used to examine the more socially harmful aspects of someone’s personality including psychopathy, Machiavellianism and narcissism. Out of 2,916 respondents to the survey 41 users (1.4%) showed signs of psychopathy. Psychopathy is a form of disregard for others which manifests itself as a lack of empathy and a willingness to ignore the rights of others and the rules of society when it suits the individual in question. From the wealth of data collected a number of different psychological metrics could be examined, but since psychopathy has a significant impact on employers and peers identifying those who score high for psychopathy would be advantageous in regards to employment, online dating, social networking and use by law enforcement. The findings for this research will be released at the 11th International Conference on Machine Learning and Applications, December 12. For more information about conference go to www.icmla-conference.org/icmla12.